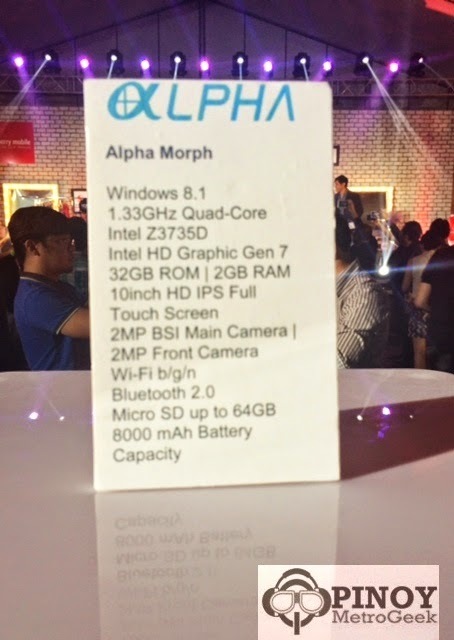 Cherry Mobile has also announced Alpha Morph aside from the smaller Alpha Play this week. In line with their quest to push Windows-powered devices to the masses, the local giant has teamed up with seasoned chipmaker, Intel, and Microsoft to slew two powerful yet affordable tablets. Alpha Morph registers as the one that has big guns of the two. 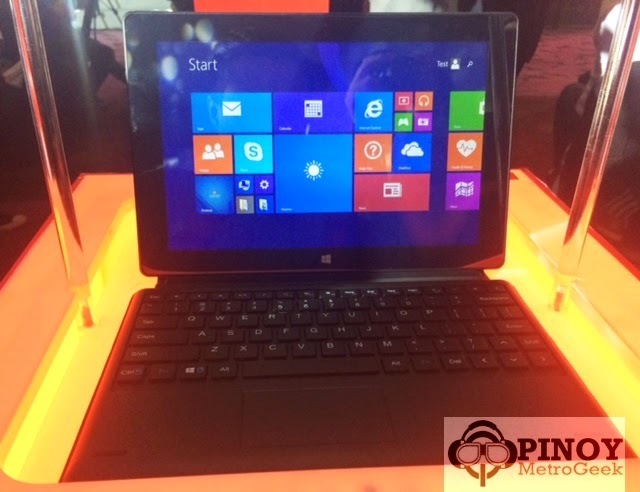 The slate comes with 10.1-inch 720p HD IPS display which is a "safe-zone" for the popular Surface tablets by Microsoft. In its gut, the Intel Z3735D works as the main processor with the Intel HD Graphic 7 for the graphics. The 2-gigabyte of RAM is coupled with 32-gigabyte built-in memory. Camera-wise, the tablet comes with a 2-megapixel real shooter with Back-Side Illumination sensor and 2-megapixel front camera for selfie shots. The Alpha Morph looks like a full-blown tablet due to the its keyboard dock compared to its smaller counterpart. Just like any Microsoft-designed device, it sports the iconic Windows icon which serves as a capacitive button in the front panel. In my own opinion, the device is called Morph due to its ability to shift from a powerful productivity device that touts a keyboard (and trackpad) to a very svelte slate that offers great portability. Ports like microUSB, HDMI and microSD completes the tablet's package. For those of you who are in the market for a chic device that offers productivity and portability at the same time, go get the Morph. Aside from the device, you’ll get a full-year of subscription to Office 365 and a whooping 1TB of cloud storage over OneDrive.